St Paul’s Fellowship Cafe is held the third Saturday of every month. We serve a hot meal to between 50-100 guests and send home bags of groceries as well. 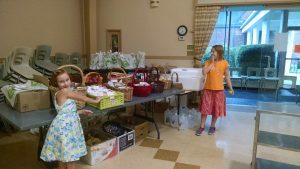 A list of pantry needs can be found on our Outreach Page. 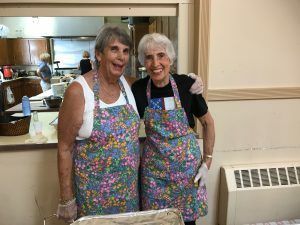 Volunteers are always welcome! Here are some recent pictures of our efforts. Bags of groceries are prepared Friday afternoons. Pantry items to be distributed are also set up on Fridays. Saturday servers! Many hands make light work, and it takes a lot of hands to serve food to all of our guests! We are collecting winter coats, boots, gloves, hats etc to be distributed during our November Fellowship Cafe. Donations may be brought to the church during normal business hours. Previous PostPrevious 2017 St. Paul’s Michael Galluccio Memorial Golf Outing is a HUGE Success!